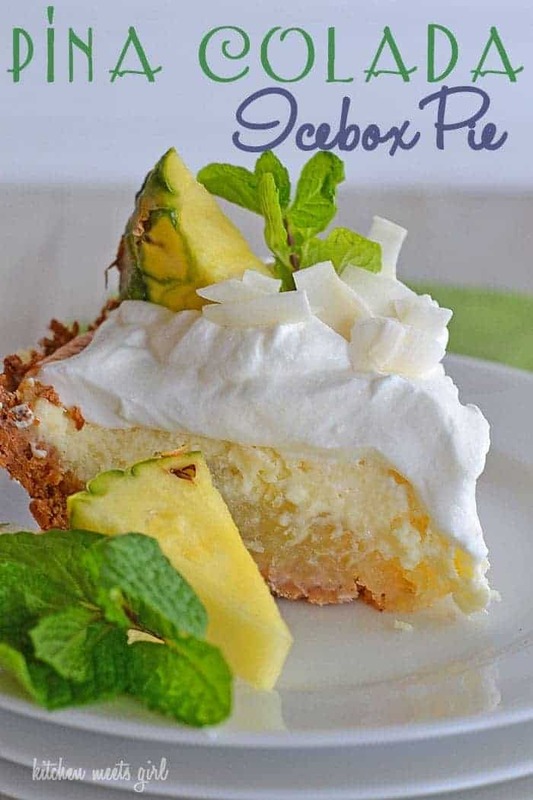 Bring the tastes of the tropics to your kitchen with this Pina Colada Pie – a three-layer pineapple, coconut, and cream pie! Eating this pie made me feel like I was on a beach, soaking up the sun and feeling the waves splash on my feet. As I ate this pie, there was still snow piled up outside and I was wearing long underwear under my sweater and jeans. I am so ready for spring, I can’t even tell you. I decided if spring wasn’t quite ready to show up, I was just going to bring it to my mouth house. In the form of a piña colada pie. I’m going to break this pie down for you, even though reliving its goodness is like torture for me. Crust: Pecan Sandies, butter, and coconut. Layer 1: pineapple and sugar, thickened with a bit of cornstarch. Layer 2: cream cheese and cream of coconut. Layer 3: heavy cream whipped with more cream of coconut. See those coconut chips on top of the pie? 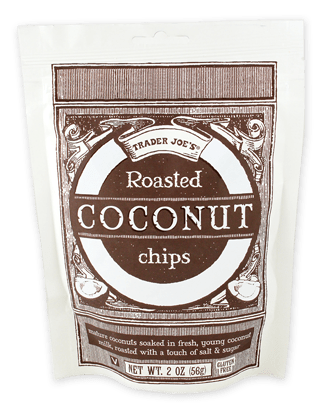 Totally optional, but I knew when I decided to make this pie that these Trader Joe’s Roasted Coconut Chips would be the perfect garnish. Unfortunately, my hometown is lame, which means I don’t have a TJ’s within a three-hour radius of me. Preheat oven to 350. Stir together the cookie crumbs, shredded coconut and melted butter, and press firmly onto the bottom and up the sides of a 9-inch deep dish pie plate. Bake 9 to 12 minutes, or until lightly brown. Remove to a wire rack and allow to cool completely. Meanwhile, stir together your sugar and cornstarch in a small saucepan; add in crushed pineapple (and juice). Stir constantly, and allow mixture to come to a boil. Cook for 1 minute or until thickened. Remove from heat and allow to cool, approximately 20 minutes. With an electric mixer, beat cream cheese with the whisk attachment until smooth. Add in 1 cup of cream of coconut and beat at low speed until just blended. (Chill the remaining ½ cup of cream of coconut until ready to use.) Add eggs, 1 at a time, until just blended. Spread your cooled pineapple mixture over the bottom of your crust. Next, spoon cream cheese mixture over the pineapple mixture. Bake at 350 for approximately 40 minutes, or until set. Cool completely on a wire rack. Cover and chill 4 hours. Beat your whipping cream until foamy. Add remaining ½ cup cream of coconut and continuing beating, until soft peaks form. Spread over your pie, and garnish with coconut chips, toasted coconut, and pineapple, if desired. This pie screams beach/spring time!! I am not a huge coconut fan but the looks of this pie might change that! It might scream spring time to Elizabeth but it’s just turned Autumn in Australia and that pie is screaming bake me now! What a fantastic photo. Yum! I had better hide this post from my husband or I will baking a pie on this Pi Day. This pie looks amazing! When I was little, I use to love Lip Smacker’s Pina Colada lip gloss because it just smelled so tropical! I can’t wait to try this recipe! It is cold and snowy here too and this is the perfect pick me up. Thanks for sharing! I am dying over how incredibly delicious and amazing that pie is!!! I puffy heart pina coladas!!!! It is still chilly here…I need a beachy pie like this to take my mind to the sun and shine!!! Sarah @ Miss Candiquik recently posted..Candy Making for Kids & CandiQuik Giveaway! I had to pin this because it looks way too good to NOT make. Must try this out soon, yum!! I got to sample this and it was WONDERFUL!!!!! I will be making this soon. Visiting from Crazy for Crust’s Happy Pi Day Pie Party. Ashley, DYIIIING over this fruity, tropical pie! You know me and my love affair with coconut–it is a deep, infinite love. And I am deeply in love with this creamy, dreamy pie! That coconut layer looks SO stupendously luscious and decadent, even if outdoors isn’t so beachy 🙂 here’s an idea: come to California where it’s pushing 80 degrees and bring this pie! We’ll hang out in the sun with Midori cocktails and this pie and eat roasted coconut chips by the bagful. I’m so glad you like them! This pie is calling my name! I adore making pies and this one sounds fantastic. Beautiful photos too! What is ” cream of coconut” ?? Hi Mary. Coconut milk is a creamy liquid with the consistency of milk made by cooking coconut and water together and straining out the coconut meat. You find it in the alcohol section of the grocery store (it doesn’t contain alcohol, though). You can purchase it either in a can or a squeeze bottle near the mixers (like pina colada!). Hope this helps. No, get in MY mouth. 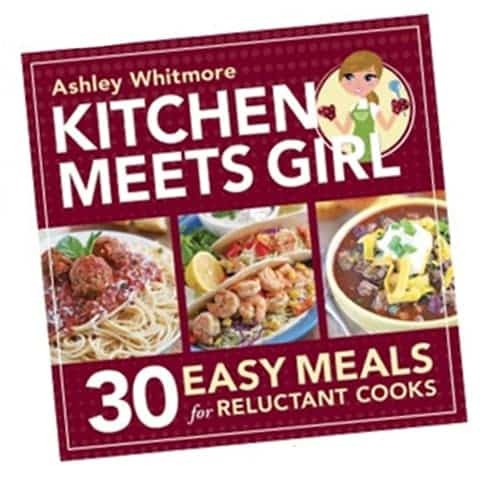 This is fabulous Ashley! 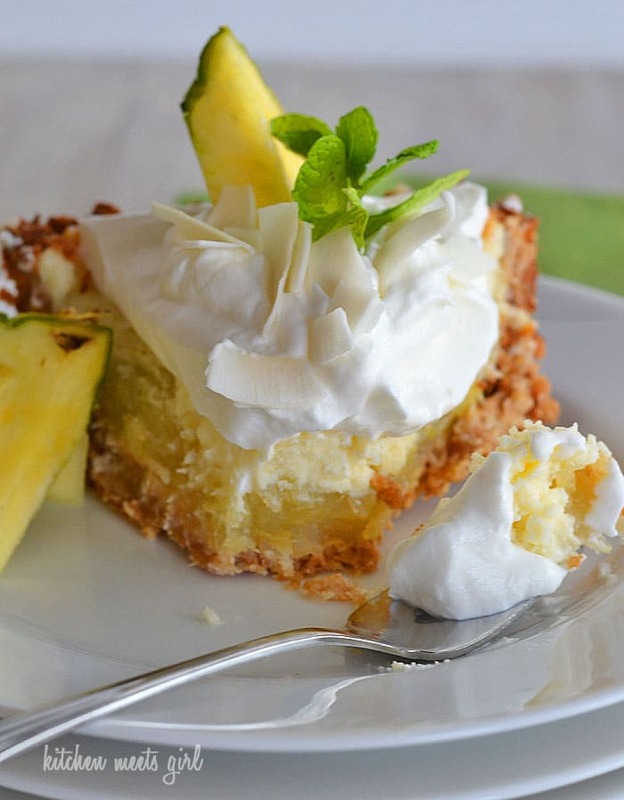 As the rain pours outside my window, I long for a piece of this Pina Colada Pie. Why isn’t it summer yet?! Ashley your photos are so good, I actually felt the sunshine and smelled the ocean 🙂 Now, can I have a piece of this pie? This is the perfect pie for Spring Break! It’s a “I can’t wait for winter to be over!” pie. 🙂 Due to nut allergies, I will replace the nuts with graham crackers but the rest sounds and looks wonderful! I know, right?? We have 60-degree weather today, but Thursday/Friday it’s forecasted to be in the 30’s with snow. I’m so over it. I just stumbled upon your web page just recently after finding this recipe on Pinterest. Cannot wait to try it out!! 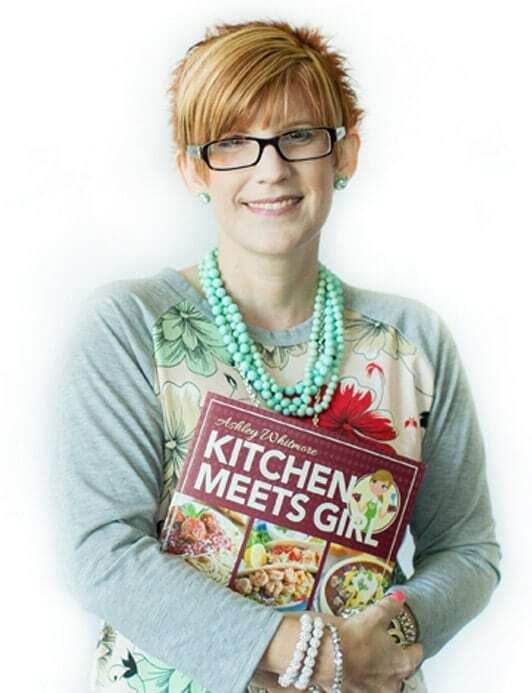 I love your site and you have so many recipes I look forward to trying out! I just tried the crust … seems like way to much cookie and not enough butter. The crust is much thicker than pictured above; I’ve even tried a deeper pan. I think I’ll have to adjust this. Any comments? Yikes! Yes, the instructions should read a 9-inch deep dish pie plate. I am so sorry you had trouble with the pie! Do you think the pie will hold up for Easter dessert if I make it today? I am in Canada and have never heard of or seen Pecan Sandie cookies..graham wafer crumbs okay to use instead? We also don’t have alcohol in our grocery stores..any other ideas where to get coconut milk? I do not like cream cheese. Is there something that I could substitute for it? Today is my birthday! I think this is a fantastic gift! Thank you for this recipe! Love this recipe. Found it on My Recipe Magic and am now a follower of your blog! This week I am featuring your post on my Wonderful Wednesday Blog Hop. Thanks so much for stopping by, Lynn! Oh my! This looks to die for! I would love for you to share and link up at my weekly TGIF Link Party if you haven’t already this week. The party is open every Thursday night and closes Wednesday’s at midnight. http://apeekintomyparadise.blogspot.com/. Hope you will join us! Lol! It’s definitely good, but not figure friendly! 🙂 So glad you liked it! What do you think about using FRESH pineapple?? Would it still work? Would FRESH pineapple work with this recipe? Hi Tracie. I haven’t tested the recipe with fresh pineapple. If you give it a shot, you’ll want to add in approximately 1/3 cup of pineapple juice when you cook the pineapple with the sugar and cornstarch in step two. My husband loooves coconut. I’m so going to make this. Thanks for sharing! I hope your husband loves it as much as we did! My husband loooves coconut pie. I am so going to make this. Thank you for sharing! Before the top layer is added, and the part of the pie that you bake, should it be sweet? I licked the spatula that the cream cheese and coconut milk were spooned with and it did not taste sweet. Will it taste sweet when all the layers are added? Thanks so much! Wanting for July 4th celebration! April–the coconut milk and cream cheese layer will not be super sweet, just a creamy coconut flavor. The finished pie is plenty sweet, though, once everything is layered together. 🙂 I hope you like it! This looks amazing!!! 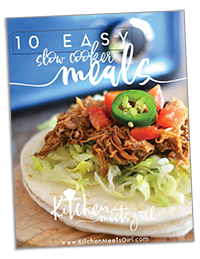 (although “icebox” does not entail cooking) Cant wait to try it!! Instant success! I made this pie and it was fantastic and used toffee shortbread cookies instead of pecan sandies (couldn’t find them at the store). I also made it in a greased springform pan and put the crust up the sides as well as the bottom. The reason I did this was because it overflowed in the pie pan and all over the oven. Turned out just a pretty from the springform pan and no mess! THOUGHT I had all the ingredients to make this, infact I’m up to the stage were you put it in the oven for 40 minutes. Was just checking out the next step and wouldn’t you know .. It calls for whipping cream! Yikes, sad day…what can I do instead? 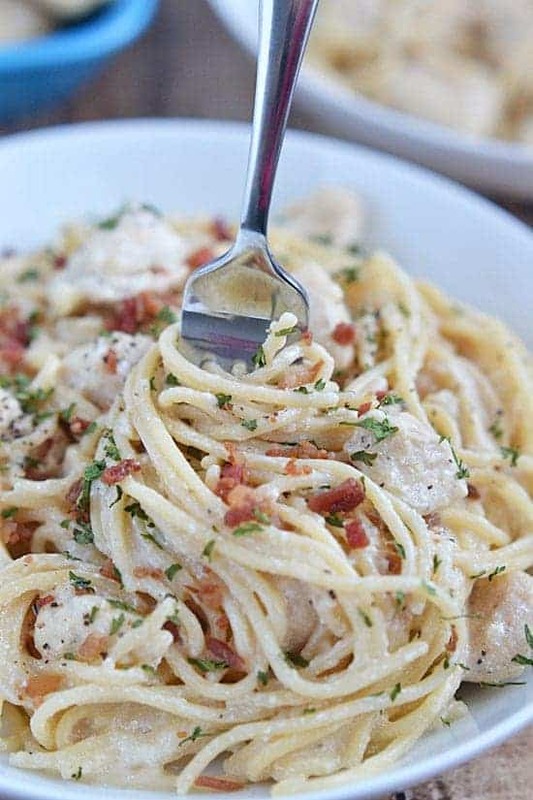 I want to make this right now! For some reason I can see the bottom layer being lime too (yummm)….do you think that layer could work the same with lime juice, or would it need the structure/texture that comes with the actual crushed pineapple fruit?